For every user of smart phones and for everyone whom can be categorized into a group of “gadget mania” you must also been familiar with the existence of Ipad, isn’t it? These days, apple as the company whom doing a research for Ipad has been discovered new features which already used on their product. Now, apple had been provides the Ipad Dictation for every gadget mania and Ipad user. The dictation programs can precede your voice as an email, text messages, and it also can be used to make your own notes. 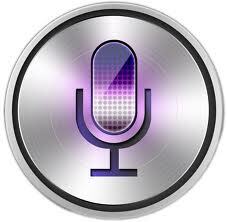 You just have to speak on it, and then your Ipad will send your voice dictation to the server of Apple to be proceeds. However, Ipad Dictation can simplify your texting activity because Apple can convert your voice into a form of wholly text. It makes your texting activities become easier and you can texting everywhere even while you’re driving. But, due to the sending process of your voice to the Apple’s server to be converted, you need an internet connection especially from Wi-Fi. Yes, you just need to turning on the Wi-Fi on your Ipad, speak to it and precede your voices. Very simple isn’t it? That simple process also will protect you from the stalker when you’re typing on it. Even though, nowadays, there are still many pro and cons about Ipad Dictation. And there is also still a big question from the user to Apple: “why it needs a Wi-Fi connection to be operated?” and maybe, we are also having ever wondering about that. Even there are doesn’t exists a legal confirmation from Apple about this question, but in my opinion, Wi-Fi becomes a requirement to operate the dictation application because its need an internet connection to sending your voices to the Apple’s server, that process actually needs an internet connection, and Wi-Fi connection will help to search the connections.